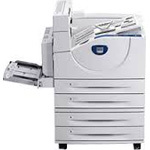 CMC is an authorized Xerox Service and Repair Center located in Piscataway, NJ. We have service technicians on staff to get your Xerox Laser 5550, 5550N, 5550DN, 5550DT and 5550DX Laser Printers repaired FAST. We offer carry-in depot service which is the least expensive, pickup service at your location, and on-site service. Please call for prices for your particular location. CMC repairs most other makes and models of Xerox Laser & Solid Ink Printers as well. Service Contracts are also available! CMC offers local Xerox Laser 5550, 5550N, 5550DN, 5550DT and 5550DX laser printer service and repair in central New Jersey locations including Piscataway and close surrounding areas such as Annandale, Avenel, Bernards Township, Berkeley Heights, Bonhamtown, Bound Brook, Bridgewater, Clinton, Cranford, Dayton, Dunellen, East Brunswick, East Millstone, Edison, Far Hills, Fords, Forsgate, Green Brook, High Bridge, Highland Park, Iselin, Kendall Park, Lamington, Lebanon, Manville, Martinsville, Menlo Park, Metuchen, Middlesex, Mountainside, Milltown, Monroe, New Brunswick, New Providence, Warren, Warrenville, North Branch, North Brunswick, North Edison, North Plainfield, North Branch, Oldwick, Oaktree, Perth Amboy, Parlin, Piscataway, Plainfield, Pluckemin, Rahway, Raritan, Scotch Plains, Somerset, Somerville, South Amboy, South Bound Brook, South Plainfield, South River, Watchung, West Millington, Westfield, Whitehouse Station, Woodbridge and Zarephath.